These presentation slides 26115 are complete compatible with Google Slides. Simple download PPTX and open the template in Google Slides. 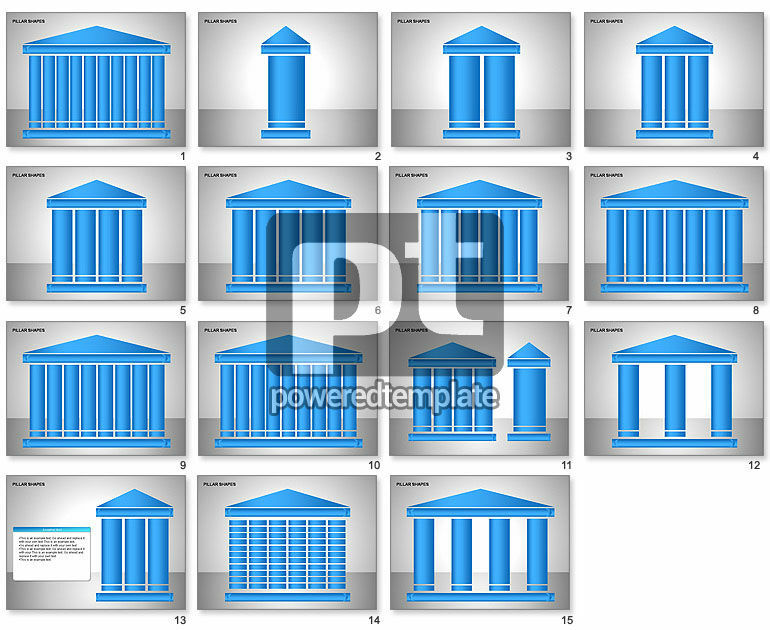 These nice blue pillar shapes will be good choice for visualization of organizational structure of the various organizations as business as educational or government.